Fifty (50) Prizes are available to be won in the Contest. The approximate retail value of each Prize is $602.16 CDN. 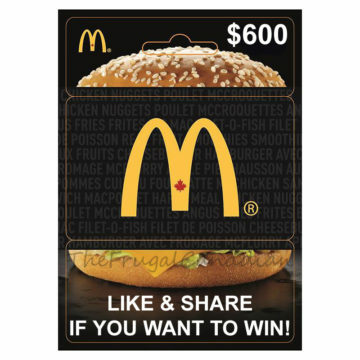 Each Prize comprises the following: two (2) Big Mac sandwiches each week for one year, awarded as a $602.16 credit on a McDonald’s Card.